I'm back up and running! I think I have got all the kinks ironed out, and my domain should be working like usual. Now back to the important business, blogging! Instead of doing a weekly check in for my Cookbook Challenge 2013, I have decided to do one once a month. That way I have more to share each time :) In February I have made 4 recipes from my Cooking with Mickey and the Disney Chefs cookbook. 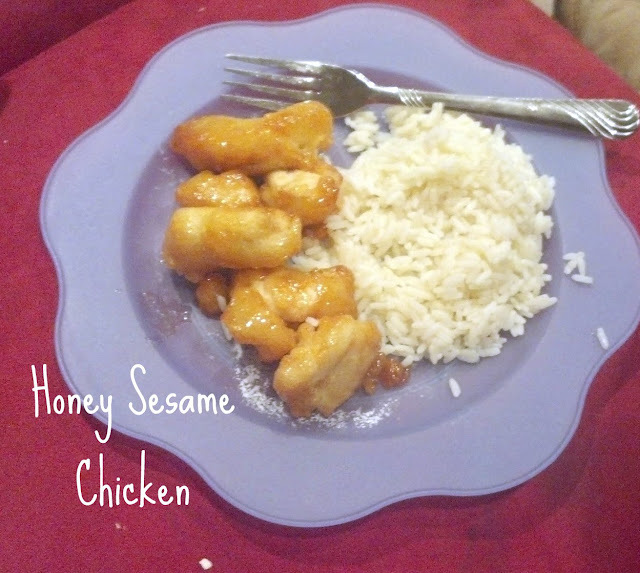 The first recipe I made was Honey Sesame Chicken from Nine Dragons restaurant in EPCOT. The recipe had a lot of steps. The chicken had to marinate for 10 minutes, I had to make a tempura batter and let that sit for 30 minutes, then I had to fry the chicken and make the honey sauce. It took almost hour and a half to get dinner finished, but it was definitely worth the wait! The chicken had a crispy batter, and the honey sauce was sweet without being super overpowering. I made plain white rice to go with it and it was a perfect match for the chicken. This is definitely a recipe I will make again, but I will cut it in half because it made A LOT and the leftovers did not reheat well. 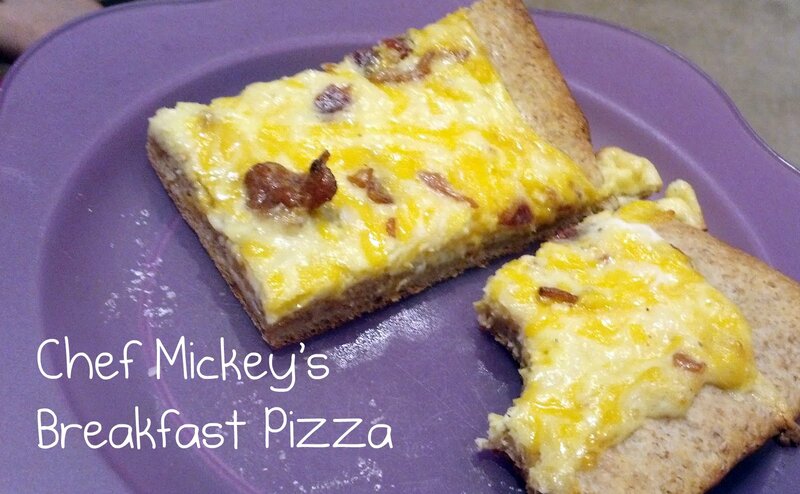 I was going to make Chef Mickey's Breakfast Pizza for breakfast, but I ended up making it for dinner one night and it was amazing. Jeff normally doesn't like breakfast for dinner because he says he doesn't get full, but he loved this; especially since I added bacon. This was really quick to make and the leftovers heated up really well the next morning for breakfast. I made a New England Pot Roast (sorry forgot a picture) that they serve at the Liberty Tree Tavern in the Magic Kingdom, and I will not make it again :( It took way too long to make and it was very tough and dry. If I try the recipe again, I will most likely let it cook all day in the crock pot rather than cook it in the oven like the directions said. The final recipe I made in February, was Mom's Meat Loaf that is served at the 50's Prime Time Cafe in Hollywood Studios. This was probably the best meatloaf I have ever made, and I have made a lot of meat loaf! It was delicious and moist, and had bits of onion and bell peppers in it. I normally do not like to put a glaze on meatloaf because most of the time they end up being too sweet, but this one was perfect. It was just ketchup, brown sugar, and Dijon mustard. Just Jeff and I ate almost the entire thing by ourselves, and Jeff requested that I make this meat loaf from now on because he loved it so much! Well that is it for February. I've made 4 out of the 99 recipes in the book, I think it is safe to say that is a pretty good start. I'm hoping that I get at least 6 recipes checked off next month. 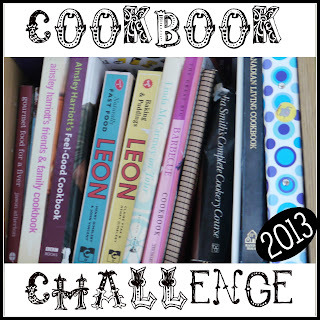 Has anyone else decided to take the Cookbook Challenge 2013? What cookbooks are your favorite? Almost a year ago I wrote this post about a fabric line I came across and fell in love with. 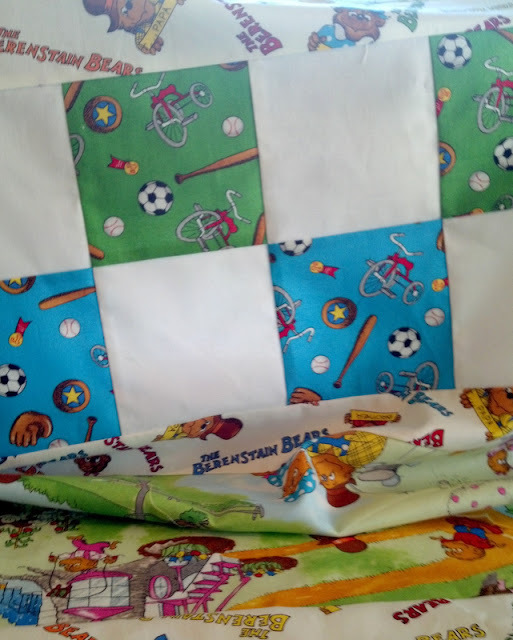 It was the Welcome to Bear Country by Berenstain Bears for Moda Fabrics collection, and I have finally made William a quilt out of the fabric! I used a pattern I found at Fat Quarter Shop called Check Me Out to piece the quilt together and it turned out amazing! 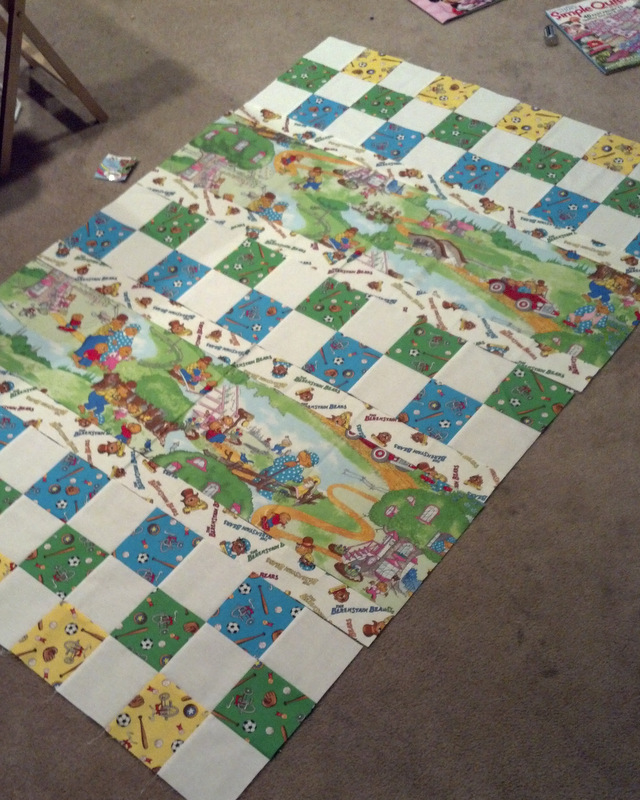 Last week I sent off the quilt top to Kathy over at Stitch by Stitch to be long-arm quilted. 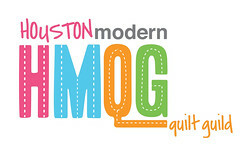 This is the first time I have ever sent off a quilt to be quilted, so I am really excited to see the final result! I love how this blog has started to pick up steam, and I know it can only go up from here. I have learned tons over the past year, and I cannot wait to keep this baby going! I recently started following a blog written by Rebecca and it is called Heron's Crafts. She has awesome tutorials and posts about sewing, cooking, books and so much more. While reading her stuff, I stumbled across and awesome challenge that I decided to tackle. Pretty simple and super doable! I have a mild obsession with all books, so it took me a while to figure out which of my cookbooks I wanted to use. My love for all things Disney prevailed, and I decided to use Cooking with Mickey and the Disney Chefs. Originally I was going to use Paula Deen's Southern Cooking Bible (I even wrote and published a post about it) but after sleeping on that idea I changed my mind. Some of her recipes are just a tad too southern for my taste i.e. fried green tomatoes. The Disney book has a great variety of different things from Walt Disney World Parks & Resorts, Disneyland, and even the Disney Cruise Line. The first few recipes I'm going to try are: Honey Sesame Chicken, New England Pot Roast, and Chef Mickey's Breakfast Pizza. I am very excited about all the deliciousness that is about to come from my kitchen. I'll be posting updates once a week to show off what I have made :) I'm gonna have to start cooking if I want to get all the recipes made by the end of the year. Wish me luck! The more time I spend at home, and the more I feel like decorating for every holiday. Before I would just decorated for big things like Christmas and Halloween, but the small holidays deserve some love too! 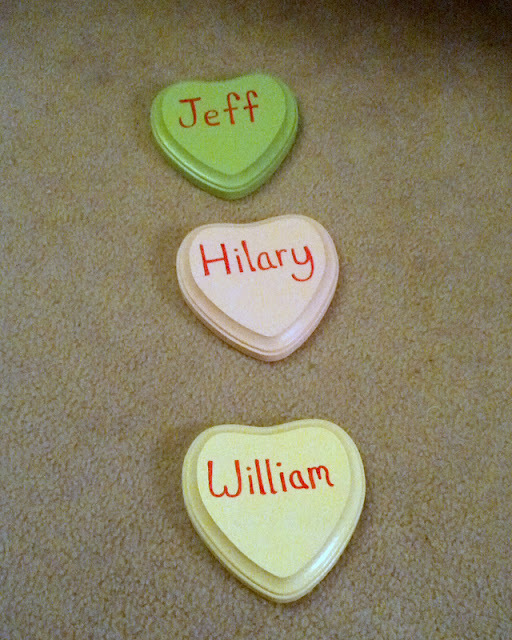 One of my favorite candies for Valentines Day, besides chocolate :), are the little conversation sweethearts. They taste terrible, but they're super cute and it is fun to see how the sayings change over the years. 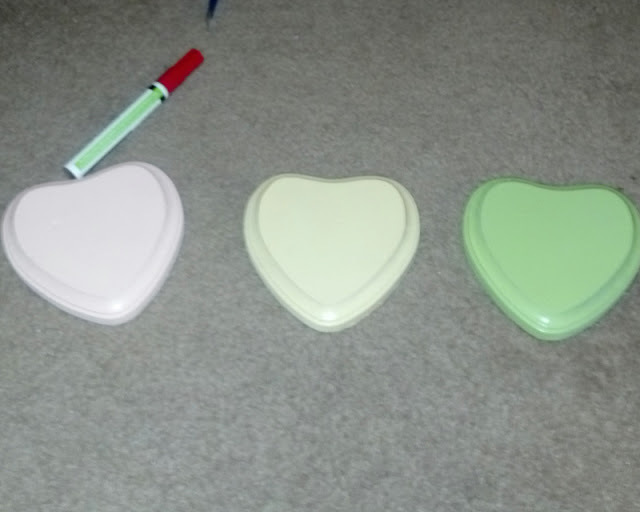 This project was super simple, and I could have gotten it done in one day if I didn't have to wait for paint to dry :) Ignore the blue paint because I switched to green after realizing that there is not a blue conversation heart candy. The wooden hearts were only $1.33 at Hobby Lobby and the ribbon was 50% off, so the bulk of my crafty budget went to the spray paint and the paint pen. This picture is terrible (it came from my phone at 2am) late night crafting is the best! You can kinda tell the glossiness of the paint, whereas in the previous pic you could still see the wood grain. How are you decorating for Valentines Day?